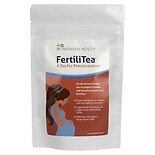 Shop Fertili Tea for Preconception - Loose Tea (3 oz. )3 oz. $1895$18 and 95 cents$6.32 / oz.